The CBRN detection system is generally employed to either confirm contaminated areas, or to confirm areas clear of contamination. Environics provides a rugged CBRN detection system designed and manufactured to endure the conditional requirements during crises management. 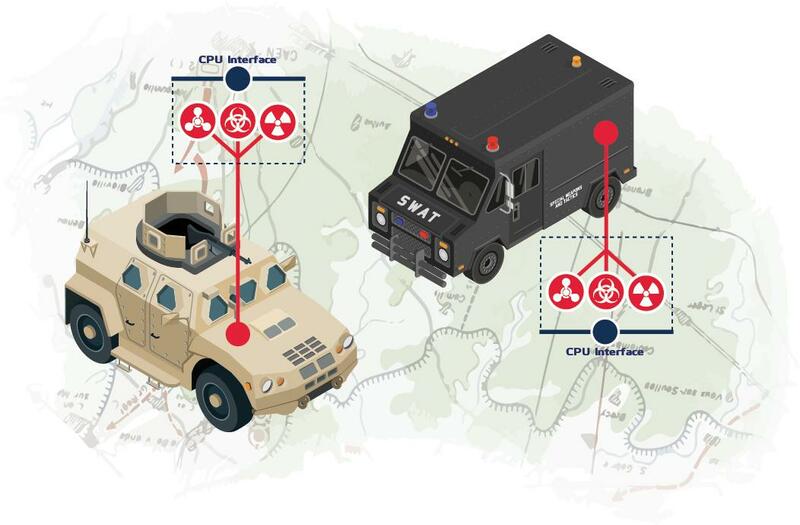 The Chemical, Biological & Radiological equipment enables the detection of a wide range of Chemical Warfare Agents including tear gas, Toxic Industrial Chemicals, and Radiation sources. The detection instruments are carefully selected in order to ensure reliable detection from both outside and inside. Environics’ devices are easily mounted and interfaced. Furthermore, their small size and innocuous housing allows for easy installation in light and medium armoured tactical vehicles, light armoured personnel vehicles and mine resistant ambush protected vehicles.